An Overview of North Carolina Medical Malpractice Law - Ward and Smith, P.A. Medical providers — including doctors, nurses, hospitals, clinics, nursing homes, and other health care providers — deliver care that positively affects the lives of millions of people each year. However, even medical providers can make mistakes. When such mistakes happen, and damages result, injured individuals potentially have a legal claim for medical malpractice. The goal of this article is to provide an introduction to medical malpractice claims in North Carolina. The nature and amount of the resulting damages. The standard of care is the proper approach, practice, or procedure for a particular medical situation that is accepted by the medical community in a particular geographic location. Thus, the standard of care can change depending upon where the medical service was provided or the particular medical condition at issue. A breach of the standard of care means a failure to provide medical treatment consistent with that particular standard. If this failure causes actual injury, the injured individual (or the individual's family in wrongful death cases) is entitled to damages under the law. While an injured party always must allege that the medical provider breached the standard of care, they also may argue at trial that a medical provider either (1) failed to use the provider's best judgment in the treatment or care, or (2) failed to use reasonable care and diligence in the application of the provider's knowledge and skill to the injured party's care. If the injured party proves a breach of the applicable standard of care or the failure to use the provider's best judgment, knowledge, and skill, the injured party must then prove that the injuries resulted because of, or were "proximately caused," by the breach or failure. The next step is proving the extent of damages to which the injured party is entitled. Types of damages include compensatory damages and punitive damages. Compensatory damages are those directly resulting from the injuries sustained. These include medical bills and lost wages, as well as "non-economic" damages such as pain and suffering, which necessarily are more subjective in their determination. Punitive damages are intended to punish wrongful conduct and can only be sought when there are aggravating factors, such as willful or wanton conduct. In 2011, the North Carolina General Assembly capped the recoverable amount of non-economic damages at $500,000, indexed to reflect inflation and now at $515,000 — although there are exceptions for cases involving recklessness or other heightened factors which can support higher awards. Before an injured individual may file a lawsuit alleging medical malpractice, a qualified expert must review the available medical records. This expert must work in the same specialty at issue in the lawsuit, and the expert must agree to testify that the care provided did not meet the applicable standard of care. If the injured individual does not obtain this initial expert review, and does not outline the review within the Complaint (the initial filing in a lawsuit stating the claim), the matter will be dismissed. 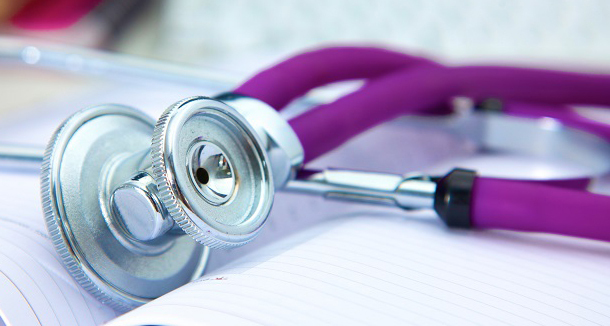 Medical malpractice cases typically are very expert-driven, even beyond the initial review. The injured party needs expert testimony to prove breach of the standard of care or other alleged failures, and to prove causation for the damages at issue. Defendants will have their own experts as well. Thus, there typically is a lengthy discovery period during which each side will seek to discover facts related to the alleged malpractice and will also examine the expert or experts of the other party and the basis for their testimony. North Carolina requires parties to mediate lawsuits, including medical malpractice matters. The mediation is often attempted after the discovery phase, but certainly must be conducted before a trial is held. The mediation session will involve a neutral mediator who will help the parties to determine if a voluntary settlement can be reached. If the case is not resolved, there will then be a jury trial to determine liability and damages as necessary. Medical malpractice claims are complex, and the applicable body of law is technical and potentially complicated. This article provides only a brief overview of the basic legal principles that apply to medical malpractice claims and lawsuits in North Carolina. If you or a family member believes you have a medical malpractice claim, the best course of action is to contact an attorney as soon as possible. © 2019 Ward and Smith, P.A. For further information regarding the issues described above, please contact Lynwood P. Evans or Jeremy M. Wilson.